Well, it's a wrap! Yep, we've wrapped up our lil' 11 year old pre-teen and sent it off to the printer. The annual Blues Festival Guide is truly a labor of love and we are so proud and excited to offer you our 11th edition. 100,000 magazines get shipped to mainly blues societies and blues festivals across the U.S. and Canada and should be in your hot little hands sooner than soon. 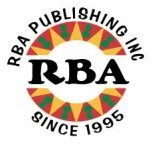 I'm so grateful to our editorial and photo contributors plus the amazing festivals, artists, labels and all the blues-related thangs that have filled out our annual so beautifully! OH! And here's the fabulous cover art to commemorate and honor the 100th birthday of Muddy Waters, painted by primitive folk artist, Lennie Jones. We love it! We also have some super cool giveaways going on at our Facebook page under our "Get Rewards" link. Check it out and go for it! 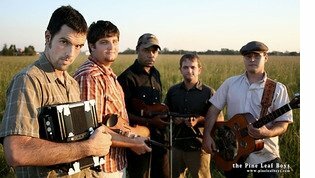 This weekend find festivals in Norway, Georgia, Scotland, California and Iowa! Whew! If I only owned a blues jet! If you see my smiling face at the Ventura County Blues Festival this Saturday make sure to say "hi!" Corrections: I guess I need to settle down a bit once I start writing my lil' "Greetings" as I had two errrors last issue. I meant to say "scarf up some tasty blues," not with a "scarve" (nor with Scarve, the death metal band from France). Also, thanks to reader James Jablonski in Holt, Michigan for pointing out the smorgasbord |ˈsmôrgəsˌbôrd| ends with a "d" not a "g" like cyborg or something. I do throw a few mistakes in on occasion just to see if you're paying attention. I do appreciate you! If you missed your latest (or any) copy of the Weekly e-Guide, you can find back issues in our archives on our websites! 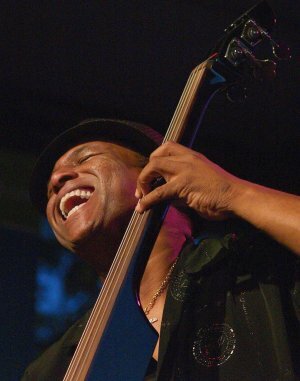 This picture of Biscuit Miller was taken by blues fan James Jablonski at the 2009 Old Town BluesFest in Lansing, MI. James says, "Biscuit's bass is an upright stick-type of the type made by Dean or Clevinger. It was one of a few different ones he played." The Blues Hall of Fame pays tribute to the greatest of the genre and educates new people about the genre. The Blues Foundation has been inducting people into the Blues Hall of Fame for years; it was a simple evening with web presence. Nothing permanent. But now we need physical presence. We are working with the Blues Foundation and a myriad of artists and organizations to spread the word about this noble cause. Because we are right in the middle of preparing for festival season, this is the perfect time for you to get involved as well and it requires just a small amount of effort. 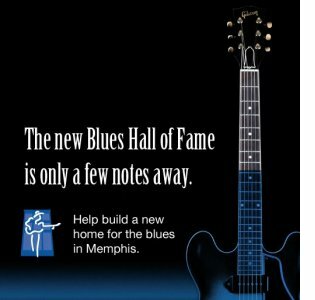 Here is a link with more details about the Blues Hall of Fame campaign. Our goal is to help raise awareness (this is where you come in) in order to raise funds to reach the goal of 3.5 million. We know you are busy with your event but here are some easy, quick and free ways you can get the word out about this worthwhile campaign. Please make a commitment to this cause and let’s use the momentum of the festival season to create awareness! How does someone donate? Donate online. Call me if you want to share ideas or to get an ad for your website or program. 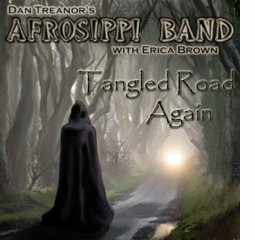 Dan Treanor's Afrosippi Band featuring Erica Brown deliver an incendiary mixture of blues, roots and soul on their new CD release, Tangled Road Again. Showcasing Ms. Brown's powerhouse, emotionally charged vocals, the band covers a wide swath of the blues landscape. From a down home field hollar to a 'smooth as silk' ballad, the Afrosippians light up the disc with their passion and musicianship. Treanor on harp, guitar and Khalam, Michael Hossler on guitar and lap steel, Mike Wysocki on bass and Gary LaDuke on drums, are consummate pros that bring a remarkable and original blues based vibe to each song. 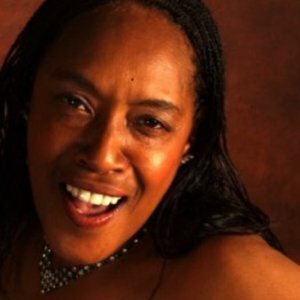 Vocalist, Merrian Johnson adds a soulful second voice to the mix. This CD is all about blues, class and soul. The band took home third place honors at the 2013 International Blues Challenge and Tangled Road Again is a perfect followup to this accomplishment. 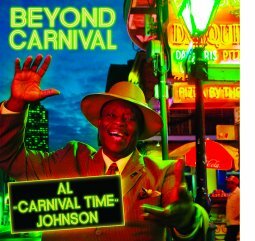 At age 73, Al Johnson Jr. finally hopes to move Beyond Carnival with this, his first-ever full-length CD. Johnson is best known for his 1960 single “Carnival Time,” an enduring anthem of Mardi Gras, Voted year after year as everyone's favorite Mardi Gras song. Five generations of New Orleanians have grown up listening to "Carnival Time" on the radio in heavy rotation year after year. Over the decades, he released intermittent recordings, none of which came anywhere close to approaching the popularity of his signature song. Producer John Autin spent a year talking and planning the new CD with Al. "I think Al's voice is one of a kind and the joy he brings to everything he sings and plays is just incredible" says Autin. "Having a chance to produce a CD on Al is a little like discovering a beautiful uncut diamond or ruby in my own back yard. I think Blues lovers all over the world are going to be just as excited about this CD as I am." At 73, Al "Carnival Time" Johnson is just getting started. His new CD Beyond Carnival is available at www.rabadash.com now and will be released April 19 for New Orleanians and world wide on May 15. 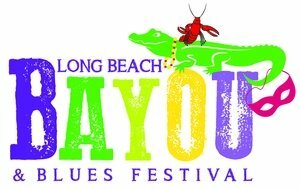 Known as a popular family event, the Long Beach Bayou & Blues Festival once again brings both the party atmosphere and the food delicacies of a New Orleans Mardi Gras to Rainbow Lagoon Park (at Linden Ave & Shoreline Dr), Long Beach, CA for its 27th year on Saturday, June 22 and Sunday, June 23, 2013. Hours are 11:00 am - 9:00 pm on Saturday and 11:00 am - 8:30pm on Sunday. The event features two stages of Blues, Zydeco & Cajun Music with acts including: Peter Tork & Shoe Suede Blues, 13 Year Old Guitar Phenomenon - Ray Goren, Big Jay McNeely, Sherry Pruitt, Sweet Baby J'ai, the Grammy nominated Pine Leaf Boys and Brian Jack & the Zydeco Gamblers and more. There's continuous dancing on a large covered wooden dance floor, and quick and easy dance instruction for all ages. The festival also boasts a festive costumed Mardi Gras parade led each day by the New Orleans Traditional Jazz Band and a colorful French Quarter marketplace with gumbo, crawfish etoufee, hush puppies, red beans and rice and other Cajun & Creole delicacies, plus coffees and desserts. With crawfish and watermelon eating contests for the whole family, the Kids' Bayou Tent also has extensive children's activities include making costumes, masks and umbrellas for the mardi gras parade, arts and crafts, storytelling, magic, sing-a-longs, kids' shows and more. In addition the Teen Corner has games and activities for older kids. The event is presented by Benoit Entertainment Group, LLC. A portion of the profits will benefit LALA (Louisiana to Los Angeles), a non-profit organization which raises educational funds for local youth to attend college. Event info: 310-217-4196 and longbeachbayoufest.com. CLARKSDALE, MS - The Institute of Museum and Library Services announced the Delta Blues Museum as one of ten recipients of this year's National Medal for Museum and Library Service. 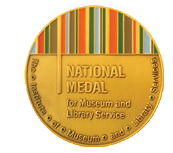 The National Medal is the nation's highest honor conferred on museums and libraries for service to the community and celebrates institutions that make a difference for individuals, families, and communities. The National Medal will be presented to Museum Director Shelley Ritter at a celebration in Washington, D.C., on May 8. "Not only is the Delta Blues Museum celebrating one of our country's most fundamental genres of music, but they're educating the next blues greats," said Susan Hildreth, director, Institute of Museum and Library Services. "This year's National Medal recipients demonstrate the many ways museums and libraries alike build strong communities." Established in 1979 by the Carnegie Public Library Board of Trustees and re-organized as a stand-alone museum in 1999, the Delta Blues Museum is Mississippi's oldest music museum. 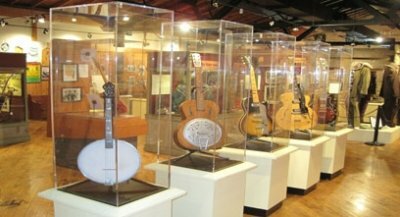 A 2013 recipient of the IMLS National Medal for Museum and Library Services, the Delta Blues Museum is dedicated to creating a welcoming place where visitors find meaning, value and perspective by exploring the history and heritage of the unique American musical art form of the Blues. The Museum's current DEEPER ROOTS campaign seeks $1.2 million for new and enhanced exhibits for Phase II of its expansion--which includes the new Muddy Waters Addition--enabling the Museum to better preserve and display the history and work of Blues artists from the Mississippi Delta, and advancing the Museum's ability to "tell" stories that inspire and educate future generations about this important American art form. Find out more at http://www.deltabluesmuseum.org/deeperroots.asp. For more information on events or programs, please call (662) 627-6820, or visit the Museum web site. Candye Kane is trying to finance a new CD called, The Power in YOU. She says, “since I got pancreatic cancer in 2007, I’ve met hundreds of people around the world fighting this disease. 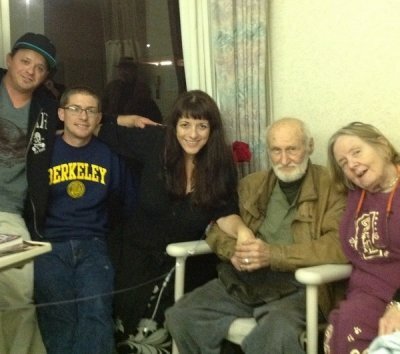 I have heard countless stories of loss and survival and these stories have moved me profoundly. But the main reason I am still here today, besides my sheer stubbornness, love for life and early detection, is the MUSIC. I truly believe that my songs of power helped save me. 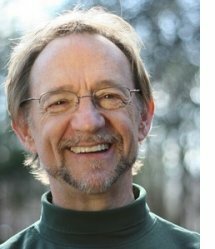 I have been writing songs of empowerment since I started writing music decades ago and I am convinced that music has a unique and insidious ability to get deep into our psyches and become part of our thought process. I started this campaign to try and raise money so I can manufacture these CDS myself and send them free of charge to other super heroes battling cancer and other diseases and life trials. I would love to leave these CDS at the UCSD Moores Cancer Center, The Samuel Oschin Cancer Center and other places where I go for treatment. I want cancer fighters and their families to be able to access this music free of charge because I believe it can help them become survivors too! JOIN US DOWNUNDER TO CELEBRATE BYRON BAY BLUESFEST’S 25TH ANNIVERSARY IN 2014! 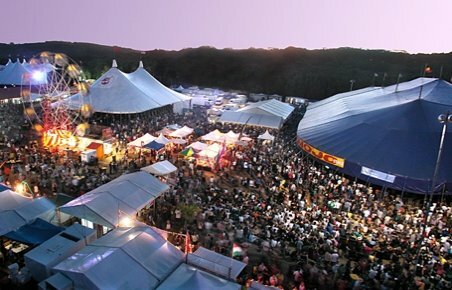 Now is the perfect time to plan for the 25th annual Bluesfest in 2014, Bluesfest is Australia’s multi-award winning and international renowned blues and roots festival. Taking place over the Easter Long Weekend at Tyagarah Tea Tree Farm in Byron Bay on Australia’s east coast, Bluesfest is an amazing opportunity to experience some of the world’s top musical masters in one of the world’s most picturesque settings. Some of the biggest names in music appear on the seven tent stages. When guests are not enjoying the massive names in music at Bluesfest, Byron Bay is a place of outstanding natural beauty waiting to be explored. Long an escape destination for Australians this small, relaxed, chic seaside town with glorious beaches provides an ideal location to wind down after a long weekend of music festival indulgence! *The Blues Festival Guide is going to Byron Bay Blues Fest in 2014… Please come with us! Call Linda/Down Under Answers to find out about special group rates for our blues family. LRBC #21 & #22 SOLDOUT! JOIN WAITLIST!! 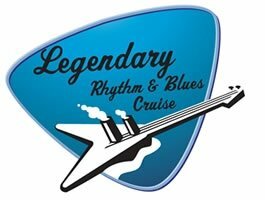 Oct. 18~25, 2013 Fantasy/Big Easy/Mayan on Holland America ms Maasdam. Fort Lauderdale to Key West, New Orleans & Progreso, MX. SOLD OUT ~ JOIN WAITLIST! We will begin a waitlist Monday, 4/15/2013 at 11AM CDT! The waitlist will NOT will be live until this time, therefore, you will NOT be able to join the waitlist prior to 4/15. Here's the link. You will be required to sign into your online account. Details on how to create your account are below. By joining, you will be placed on the waitlist in order of the date and time that your request was received. If a cabin does become available (most likely Deluxe Verandah Outside ranging from $2450-2600 per person Double Occupancy plus $230 per person port/ship fees and gratuities to be billed onboard) we will notify you of availability. We DO require a Credit Card to be placed on the waitlist. Your card will not be charged until you have secured a cabin. If you experience problems signing up for the waitlist online, you may also call our office at 816-753-7979. BUT... you will be able to secure a higher spot on the list by using the online system as the phone lines become very busy so it becomes difficult to get through right away. Thank you in advance for your patience! You HAVE to experience this at least once in your lifetime! 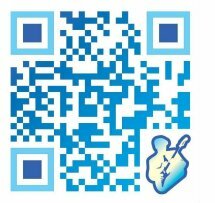 This is our new QR code. 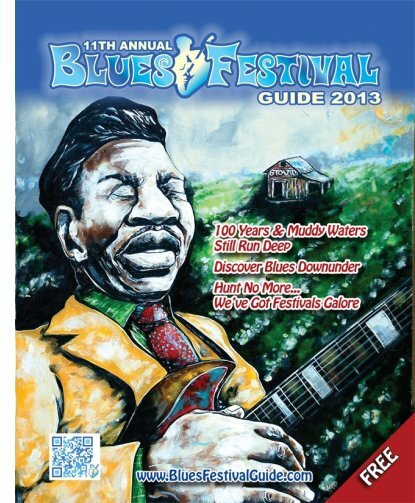 You will see it on the front cover of the 2013 Blues Festival Guide magazine, on the streets soon! As usual, your blues friends may want to “borrow” your copy of your Blues Festival Guide magazine that is chock full of great info, but now you can offer to let them scan the code with their smartphone. This will bring them to our Mobile Website with a link to the Digital Version of the magazine, and they can read it there! Download a free QR bar code scanner App (there are dozens of them), then scan the QR code and you will land on our new landing page for mobile devices. ~ Link to list of dozens of blues festivals in date order. Our new mobile web page is easy to navigate on your smart phone… giving you access to blues festivals at your fingertips. Mark your calenders for the Baton Rouge Blues Society 2013 annual All Star Blues Jam, Tuesday, April 30, 5p-1a at Phil Brady's Bar and Grill (4848 Government St. Baton Rouge, LA). Headlining is James Johnson, Slim Harpo's original bandmember and the man who invented the "chickenpickin lick." Check out the line up of the incredible blues musicians: James Johnson, Kenny Neal, Oscar "Harpo" Davis, Chris LeBlanc, Ernest Scott, Elvin Killerbee, Jonathan "Boogie" Long, Hoyt Cuti Sr., Betsy Braud, Paula Rangell, Doug Brousseau, Joe Monk, Trina Lynne, Leroy Pero, Donald Evans, Bobby Campo Johnny Rossetti and MANY MORE!!! Tickets available from BRBS officers and at Brady's Bar.Please bring your friends; Remember your $20 cover includes annual membership, live blues music and all-you-can-eat supper that features fried chicken, salad, Ben Payne’s World Famous Red Beans and Joe Hall’s Slammin’ Jambalaya! If you represent a Blues Society and/or have a very special announcement for a not-for-profit event coming up, send your brief news or Press Release (200 words or less) and logo with "Blues Society News" in subject line to: editor@bluesfestivalguide.com. YOU can make the Blues Hall of Fame a reality. Your support matters! For the past 15 months, The Blues Foundation has asked blues fans to help Raise the Roof! Many of you have responded generously. As a result, the Campaign for the Blues Hall of Fame has secured pledges and donations of over $1.5 million dollars. By September, the final plans and drawings will be ready and construction can begin. But construction will begin only if those blues fans who have not yet pledged do so in the next six months. Be a part of blues history. Do what you can. Help us complete this dream now. Let us have a Grand Opening with B.B. King and Bobby “Blue” Bland with cutting the ribbon! 421 So. Main, Memphis, TN 38104-4464. 3. Or Make a one-time donation by calling 901.527.2583. No effort is too small or unappreciated! POST YOUR FESTIVALS! 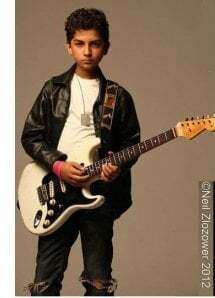 POST ALL YOUR BLUES GIGS! 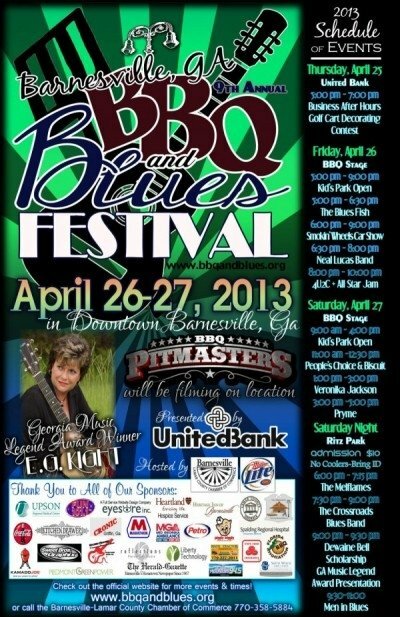 - FESTIVAL PROMOTERS... Post your 2013 festival information on the Blues Festival Guide website. It's FREE and the sooner you put the info on our website the sooner fans will see it and be able to plan their Blues Festival adventures. The Blues Music Awards come to Memphis, on May 9th. These are the Oscars of the blues world. 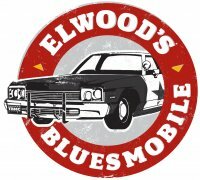 If you can’t make it to Memphis, well then, step inside the Bluesmobile. 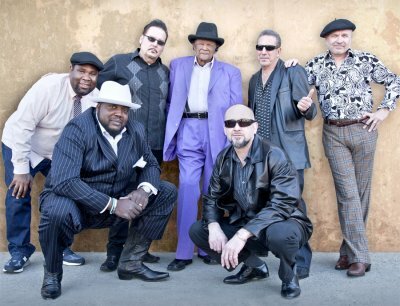 Elwood will give you a sample of the Tedeschi-Trucks Band, the Mannish Boys (pictured below), Rick Estrin and the Nightcats, Shemekia Copeland and more! A preview of the Blues Music Awards. Next time in The BluesMobile.